Is This What Passes For An Indepenedent Investigation In Delaware? 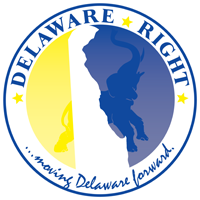 In a report released by “SPECIAL PROSECUTOR”, E. Norman Veasey, regarding the apparent illegal campaign finance practices of several Delaware candidates and elected officials in the 2008 election cycle, it is quite clear that Gov. Jack Markell and others, either knew about illegal campaign contributions, or actively participated in directing donors in how to hide the donations. The “HONORABLE” Mr. Veasey listed in his report, numerous accounts of witnesses who stated that they had knowledge of these practices, and that candidates and their campaigns were also aware of the illegal donations. However, Mr. Veasey in his report has stated that no one will face any charges for these illegal acts, stating, that due to his inability to collaborate the accounts he would be bringing no charges. Instead of charges against those named in the report and possible fines, Mr. Veasey has suggested campaign finance reform, WOW! Slow down Mr. Veasey, don’t be so tough on those who break the law, maybe we could just call them all into the principles office and give them a good talking to about not doing it again. In the report it is clear that the Markell campaign was playing fast and loose with the rules and the law. Other elected officials named were Sen. David McBride, D-Hawks Nest, received free cases of beer and vodka from Christopher Tigani’s liquor distributing company NKS, Mr. Tigani was convicted for illegal campaign donations. But I guess receiving illegal contributions isn’t worth prosecuting in Mr. Veasey’s view. Sen. David Sokola, D-Newark, received tickets to sporting events in 2007 and 2008. And Sen. Colin Bonini, R-Dover South, used two paid N.K.S. employees to erect campaign signs. So I have to wonder why a former Delaware state Supreme Court Justice would not want to prosecute what on the surface seems to be quite a large-scale campaign finance corruption scandal? Well maybe the answer is in some other campaign donation records. Let’s take a walk down memory lane. Here are some interesting donations over recent years, 2007 to present. 10/19/07 $300.00 to John Carney Jr.
12/12/07 $500.00 to John Carney Jr.
8/16/08 $400.00 to John Carney Jr.
Notice that the one Republican listed above, Colin Bonini, was one of those named in the report as having, “POSSIBLY”, participated in illegal campaign finance practices. And while in this time period three other donations were made to other Republicans, the scale falls heavily to the Democrat side. Oh! Did I forget to mention who made these donations? That would be the Honorable E. Norman Veasey, the special prosecutor who was named by the Democrat Attorney General to investigate illegal campaign finance practices by among others our Delaware Governor Jack Markell, Democrat. This my friends is what we get with one party rule. It’s obviously also how we get one party rule. 14 Comments on "Is This What Passes For An Indepenedent Investigation In Delaware?" Anonymous, you are correct, but in today’s world follow the money. Look who he supported with his money. And the “REPUBLICAN” governor was Mike Castle. He was funding Markell and Denn in the very year that the “ALLEDGED” illegal donations were being made. To be fair you failed to mention that prosecution cannot take place because the statute of limitations has passed. That said, it should not have happened in the first place and legislators should do something to ensure it doesn’t happen again. This is something that everyone can get behind in the spirit of bi-partisanship. It’s an abuse that happens across the board. Let’s agree it’s disgusting, and move forward. Politics, since the dawn of time, has always been a dirty business. Kinda like prostitution, which at least is better regulated where it has been made legal. Laffter, thank you for reminding me, I did forget to point out the benefit of dragging out the investigation for two and half years. And not all of the cases have passed the statute of limitations. I do agree that something should be done to stop it from happening again. I just don’t think that passing more laws that will not be enforced will accomplish that. There were and are laws in place right now, and still they did it. Enforcement has to be the first reaction to breaking the law. If there are no repercussions for breaking the law, then it will matter little how strict the laws are. Straight from the Clinton playbook. Works every time….as long as your political affiliation begins with a (D). Point made, just not sure that was the reason, would like to give him the benefit of the doubt. But I suppose we are all rather jaded on politicians and the 24 hour news cycle…. Laffter, the snark was meant with good intentions. And jaded we are. And Frank – you know what that means. ……. Laffter makes the day brighter…and we need it! Awwwwwww. Shucks…..thx guys n gals. Laffter the IT ‘kids’ that come and go here have all joked that they may (if they ever comment) use some of those names. As I remember Barney was always the more intelligent one of the pair so I’d be honored (opps…not in 3rd person). You wouldn’t be a good Betty. Cold is coming or better yet for the Game of Thrones fans “Winter is Coming” so stay warm and play on Mr. Knotts indoor playground today and tomorrow! Now you’re just baiting me. Winter is Coming? Love, love, love GoT! It starts again in the spring, so… Spring is Coming! Well, the COLD is definitely coming! Stay warm house of TM and house of Pandora! Schools closed too……..the wind is howling! OYE, I feel bad for folks working outside! Frank- you be careful out there tomorrow, I know you will be busy! We said a little ‘prayer’ for Mr. Knotts and others that have to work outside and do things like fill tanks with flammable, more rightly EXPLOSIVE materials. Working in this cold deserves Alaska kind of pay. Our dear Pandora we can only hope that you can enjoy GoT on a TV like this Sharp 70″ 3D wonder monster that V set us up with to enjoy! When GoT is on the House of Tuxamus Maximus is full. Every one of the ‘kids’ are here whether it’s their rotation or not. For all of us at HTM winter is almost here my dear as we will begin the ‘airings’ in the next few weeks with two every Sunday night. All three seasons are on a DVR here and we will watch them all before the new season starts. We adore you more and more all the time! Now for an on topic comment. Investigate all they want. We can complain all we want. We can hope all we want and do what we want and it will never really change. Everyone has an agenda. If not right off the bat with winning an election it comes soon enough in time. We’ve all heard the same things over and over all our lives and it never changes. We can only hope for the best and get rid of the ones we know are bad (sometimes they take care of that themselves). TMF says ‘it all comes out in the wash it’s just how we fold it” and TMV loves to say “everything happens for a reason but sometimes we don’t know until years down the road”. TM Fred will be on here soon as I’ve got to start tonight’s meal now cause secret squirrels need sustenance to do what they do around here!